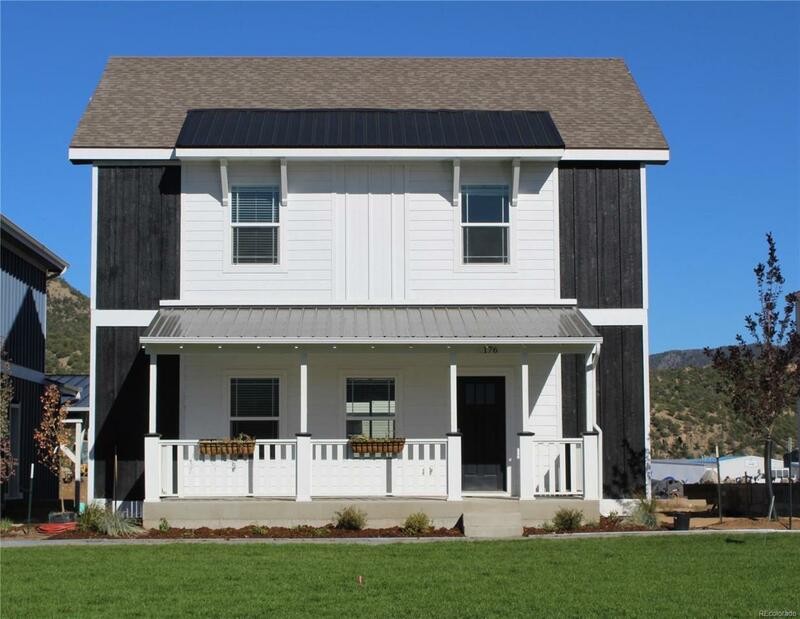 In The Farm each home has a large front porch that opens onto community greenspace. The Farm HOA will maintain the community spaces with grass, trees, fire-pits, seating areas and exterior lighting. Special features of this home: Dramatic view of Mt. Princeton; Stainless appliances; solid surface countertops; Lighting package; ceiling fans in BRs & living room; Sliding glass door onto large deck; fenced backyard; Tiled shower in master bath; Laundry room; High end technology & fiber optic internet; 9' first floor ceilings; Upgraded IRC code construction; All electric with R21 and R50 insulation; 3' craw space, conditioned and lined. Open House held on Saturdays, 11:00 to 2:00; Sunday open house by appointment, 1:00 to 3:00 by calling 719-966-7750 to schedule.